The latest NMRCL Recruitment 2018 Notification is issued by Nagpur Metro Rail Corporation Ltd (NMRCL). The NMRCL officials are ready to hire capable candidates for 22 Senior Section Engineer, Senior Station Controller/ Train Operator/ Traffic Controller, Senior Technician Vacancies. Those who are waiting for Central Government Jobs can utilize this chance and apply for NMRCL Recruitment 2018 before 25th January 2018. Moreover, complete information such as Post Wise Vacancy Details, Education Qualification, Age Limit, Selection Process, Application Fee, Salary Details, Important Dates, Important Links, How to Apply Details are clearly provided in the below section. We suggest all the applicants in the below section we provided simple steps to apply for NMRCL Recruitment 2018. So, before filling the application form it is better to check the complete details about NMRCL Vacancies 2018. Job Seekers who are looking for latest Central Government Jobs they can refer the NMRCL Recruitment 2018 Notification. Interested candidates can apply for NMRCL Jobs 2018 through offline mode. As we know that a huge number of candidates are looking for government jobs. They can use this chance and apply for NMRCL Vacancies 2018. Aspirants who have done BE/ B.Tech in Electrical engineering from a Recognized University or Institute they are eligible to apply. In this section, we are providing complete information about NMRCL Recruitment 2018. Candidates who are applying for Senior Section Engineer, Senior Station Controller/ Train Operator/ Traffic Controller, Senior Technician Vacancies they must apply before 25th January 2018 through offline mode. After filling the offline application form aspirants are requested to send the application forms to the below given postal address. As per the news totally there are 22 Vacancies. Also, check the official website of Nagpur Metro Rail Corporation Ltd (NMRCL). Newly the Nagpur Metro Rail Corporation Ltd is inviting offline application forms to fill up 22 Senior Section Engineer, Senior Station Controller/ Train Operator/ Traffic Controller, Senior Technician Vacancies. Applying contenders maximum age limit is 32 years. Those who are suitable for NMRCL Recruitment 2018 can enhance this opportunity by applying for NMRCL Jobs 2018. The officials are clearly mentioned in the official notification the applied candidates must face Personal Interview and Medical Examination. For more information scroll down this page or visit the official website of Nagpur Metro Rail Corporation Ltd (NMRCL). From here candidates can easily get complete details. Therefore check this page and fill the offline application form. More details about NMRCL Recruitment 2018 is provided in the below section. 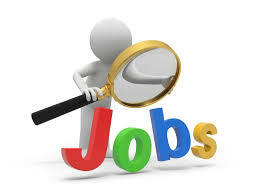 On our website SarkariRecruitment.com, all the job seekers can easily check latest and upcoming government jobs. Interested candidates can hurry up and apply for NMRCL Recruitment 2018. As per the notification, the Nagpur Metro Rail Corporation Ltd officials are only accepting offline application forms until 25th January 2018. Aspirants who are applying Senior Section Engineer, Senior Station Controller/ Train Operator/ Traffic Controller, Senior Technician Jobs they have to pay the application fee. General category candidates need to pay Rs. 400/- and there is no application fee for SC/ ST candidates. In order to get a job in Nagpur Metro Rail Corporation Ltd, all the candidates must clear all the selection rounds. The Nagpur Metro Rail Corporation Ltd is conducting Personal Interview and Medical Examination for the applied candidates. The selected candidates will receive good salary package offered by NMRCL officials. Here we are updating complete information about NMRCL Recruitment 2018. So, applicants can easily look at this entire section and apply. Senior Section Engineer: Aspirants who are applying for Senior Section Engineer Jobs they should be done BE/ B.Tech in Electrical engineering any Recognized University or Institute. Also, candidates must have minimum 2 years experience in relevant work. Senior Station Controller/ Train Operator/ Traffic Controller: Candidates must be done 3 years diploma course in BE/ B.Tech in concerned subject from any government university or institute. Also, have 2 years of experience in concerned field. Senior Technician: Must possess ITI in Electrician Trade from any government university or institute. Must have 3 years of experience in Technician or Maintainer field. The Candidates maximum age limit is 32 Years. Refer the official notification and check category wise age limit. The upper age relaxation is as per Nagpur Metro Rail Corporation Ltd norms. The applied candidates will be selected based on Personal Interview and Medical Examination. For General category candidates the application fee is Rs. 400/-. And there is no application fee for SC/ ST candidates. For Senior Section Engineer: Rs.18,500/- to Rs. 35,600/- per month. For Senior Station Controller/ Train Operator/ Traffic Controller: Rs.16,000/- to Rs.30,770/- per month. For Senior Technician: Rs.13,500/- to Rs.25,520/- per month. The Starting Date to Fill the Offline Application Form: Started. The Last Date For Submitting the Offline Application Form: 25th January 2018. Visit the official website of Nagpur Metro Rail Corporation Ltd (NMRCL) www.metrorailnagpur.com. And search for NMRCL Recruitment 2018 Notification. Click on the link and refer the complete details. Now refer the details and pay the application fee. Submit the form before 25th January 2018 to the below given postal address. Anand Nagar, Civil Lines, Nagpur – 440001. Interested candidates can check the NMRCL Recruitment 2018 Notification details from the above section. So, willing aspirants must fill the application form and send to the given postal address. We suggest all the aspirants you can easily view your exam result on सरकारी रिजल्ट.